Sorry to Bother You marks the directorial debut of Boots Riley, who offers his unique voice to a world crowded with single-genre pictures meant to please a wider audience. Riley knows how to make a film his own and dive into many genres, like dark comedy and character-driven drama. He offers dialogue that doesn’t hold back on being extremely dark and bizarre yet humorous and entertaining. The movie gets so weird that eventually everyone will just have to sit back and enjoy whatever new ideas the director throws at you. This is a film that knows when it’s okay to move outside the lines of regular filmmaking and screenwriting, and try something new. Lakeith Stanfield was able to yell the titular phrase in the movie Get Out is now in the spotlight as the lead role of Cassius. He’s skilled, talented, and keeps the viewer into the film with his wide range that he brings into Cassius. Tessa Thompson once again proves herself as Cassius’ fiance Detroit and Armie Hammer has a phenomenal supporting role that’s hilarious and full of energy. The music is vivid and adds another layer to the film, and the writing is always unexpected and engaging. The movie knows when to be impactful, haunting, and thrilling but at the same time doesn’t take itself too seriously and still completely works on both aspects. 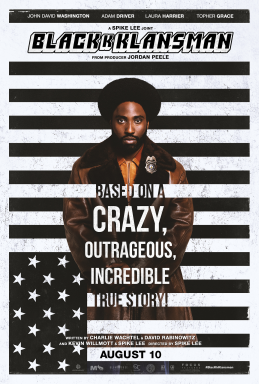 While this movie is very unique, some may not like this movie or find the insane aspects to be laughable. It’s not a film for everyone, but thankfully my audience loved it so maybe you will too. 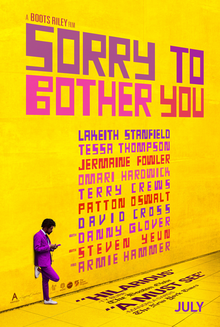 Sometimes the ideas in different acts of the story don’t really act together to present a common goal or clearly feel interconnected, but I still enjoyed Sorry to Bother You from start to finish. It’s odd and nonsensical but presents itself as a deep story about people living in the modern world, and about the love, hate, hard work, and statements these people express every day. Ethan Hunt and the IMF must race against time to prevent global chaos after a mission gone wrong. What most action franchises are missing by the sixth installment is the jaw-dropping thrills, and wracking action sequences and the passion and dedication from a lead star that Tom Cruise still delivers after 22 years. Like expected from this series, the action is like nothing before, with realistic stunts requiring little to no computer generated effects that only a star like Cruise would be willing to pull off. Whether it’s on a motorcycle, helicopter, or jumping off a plane, Cruise’s love for authenticity pays off and every scene is not only shot unbelievably and must be watched on an enormous screen, but the suspense and incredible sound editing will keep you on the edge of your seat. 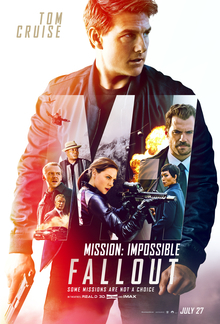 Tom Cruise achieves what no action star would achieve, let alone at age 56, and not only does he leave a mark with his name in action history, but the writing for his character is better than it was before in the series. Henry Cavill is a great addition to the franchise who has notable chemistry with Cruise and a very well-written character. Simon Pegg is once again great comic relief, and Ving Rhames is a memorable supporting character who’s been in these movies for as long as Cruise has. Rebecca Ferguson is also a pleasing return from Rogue Nation and so is Alec Baldwin as the new secretary of the IMF. Director Christopher McQuarrie, who returns from the previous installment, once again proves that he’s got a terrific realization of the scale and excitement of the Mission: Impossible franchise and delivers top-notch fights that will glue your eyes to the screen throughout the whole runtime, even though some moments don’t reach the heights of Cruise climbing the Burj Khalifa or holding onto a plane in the previous movies. The story is filled with twists and turns that will keep you guessing. However, my main problem with the film is also in the story — it often borrows too much from the 5th movie, Rogue Nation. For example, Solomon Lane returns after being the main villain from the last movie, but nothing new is done with his character to make his return feel necessary. However, the exciting action is what has made this series so much fun over so many years and is why fans of Cruise and the genre should not miss this one on the big screen.